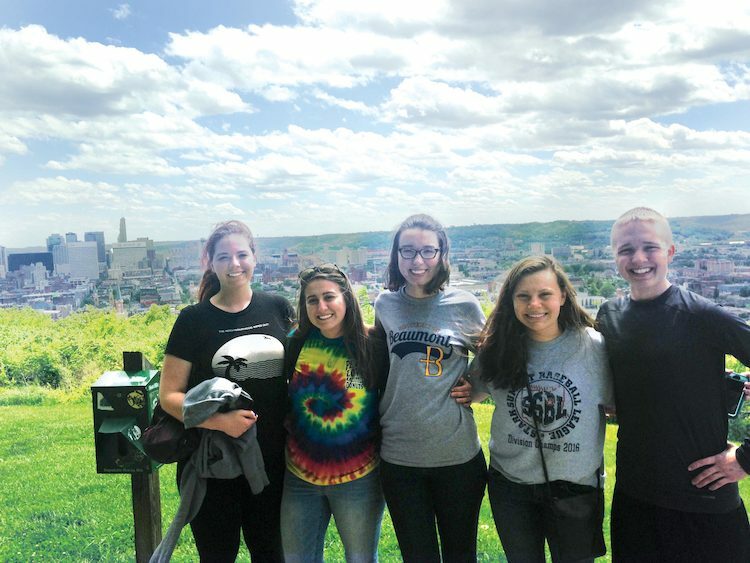 During four days in early May, nine students in Walsh’s Blouin Leaders in Social Justice Program experienced an “urban plunge” trip to Cincinnati as the conclusion to their year of studying four issues in Ohio -- poverty, hunger, education and homelessness. While in Cincinnati, the students focused on poverty and affordable housing with experiences that included sleeping in a church, buying lunch on an average food stamp allowance and studying the effects of gentrification on the Over the Rhine neighborhood with the Greater Cincinnati Homeless Coalition. 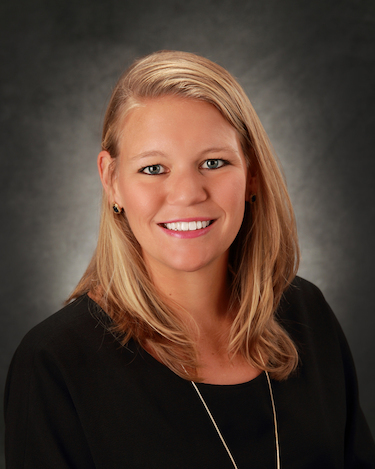 “The Blouin Leaders in Social Justice program honors Br. Francis Blouin, Walsh’s third president, who taught by example how to live a life in service to others,” said Associate Dean of the School of Behavioral and Health Sciences Dr. Penny Bove, who led the trip along with Director of Service Learning Abigail Poeske, Director of Internships Alyson Holland and Assistant Director of Resident Life Jessica Dickson. In its beginning, Over-the-Rhine was a neighborhood of immigrants with a mix of ethnicities. Located close to downtown Cincinnati, the area fell on hard times and for decades was considered a neighborhood of crime and poverty that erupted into violence during the 2001 Cincinnati Riots. In more recent years, there has been a redevelopment of the area to bring it back to its original German heritage. Led by the organization 3CDC, a revitalization has transformed Over-the-Rhine into a charming tourist destination that has also faced criticism for its displacement of low income residents during the revitalization. Two of the most impactful experiences made the issue of homelessness more real when the group spent three nights in a church winter cold shelter and bought lunch with the average allowance on food stamps. Each student was given $1.35 to spend on their lunch in a local upscale market. Students had to haggle for a loaf of bread and couldn’t afford the more expensive produce and healthy foods sold in the market. The students also sold newspapers to raise awareness about homelessness in the Over-the-Rhine neighborhood, served in a soup kitchen and tutored at-risk children.